I'm a copycat! There are some blogs that I could spend the rest of my life imitating. I had rhubarb in my freezer from a month ago when it was fresh locally but I had no time to bake, and it has been constantly in the back of my mind. 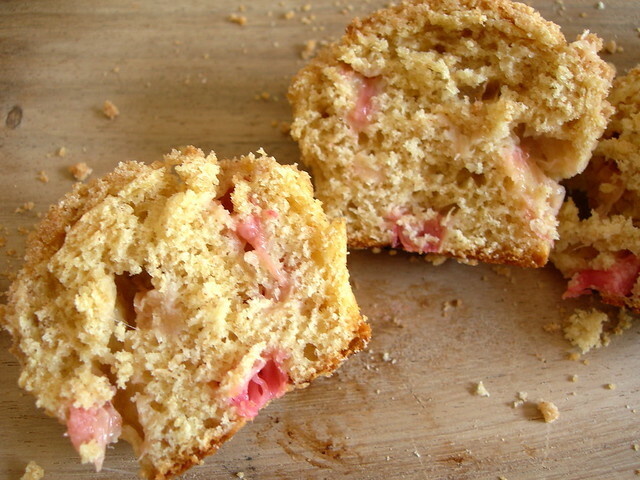 So when Deb from Smitten Kitchen posted this recipe for rhubarb streusel muffins, I knew I was set. Sometimes I think Smitten Kitchen is the new Dorie (who was the new Julia). This morning, I had no eggs in the fridge. It was too early and I was too lazy to go anywhere to buy eggs, so I decided that today was a good day to try another vegan recipe! I had tofu in the fridge too, so started out my vegan recipe searching by looking for a muffin or scone with tofu in it. Somewhere along the way I found a post on Vegansaurus for East Coast Coffee Cake, which they found in one of Isa Chandra Moskowitz's many classy vegan cookbooks. I swear that Isa has written half the vegan recipes out there worth trying. I read the comments carefully and made a few changes, which I present to you here. But please do visit the original recipe and check out Ms. Moskowitz's book Vegan Brunch for even more amazing ideas. Preheat over to 375F. Grease a pan equal to or smaller than an 8" square. I used a 5x8 one because I wanted it a little thicker. Mix the milk and vinegar together and set aside to curdle for five minutes. Mix together flour, sugar, cinnamon and nutmeg. Pour in 2 tbsp of the oil and toss with a fork, add additional tbsp until mixture is evenly moistened. In a large bowl, mix milk mixture, sugar, canola oil and vanilla. Stir in flour, baking powder and salt, and mix until smooth. Pour batter into pan. Evenly sprinkle the topping over the batter. Bake 25 minutes before checking it for the first time. Mine was perfect at 25. You might consider lowering the temperature to 350, which is what would usually be called for in a baked good. 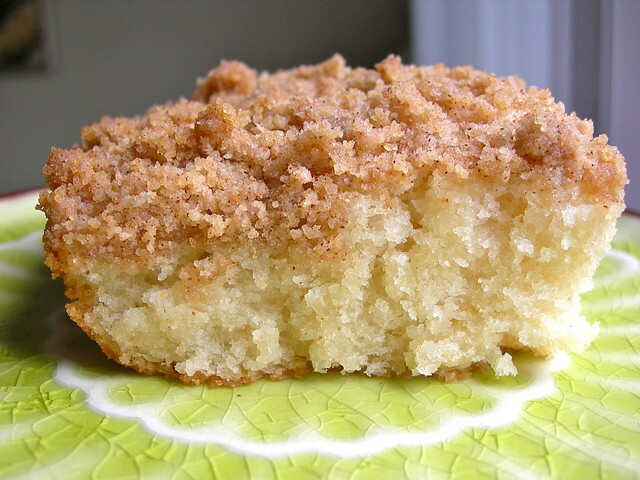 I could taste that this was oil instead of butter, but it has a beautiful crumb and makes a delicious breakfast treat! The dark chocolate drops I got from Black Mountain Chocolate were never going to last very long. I couldn't get them off of my mind. 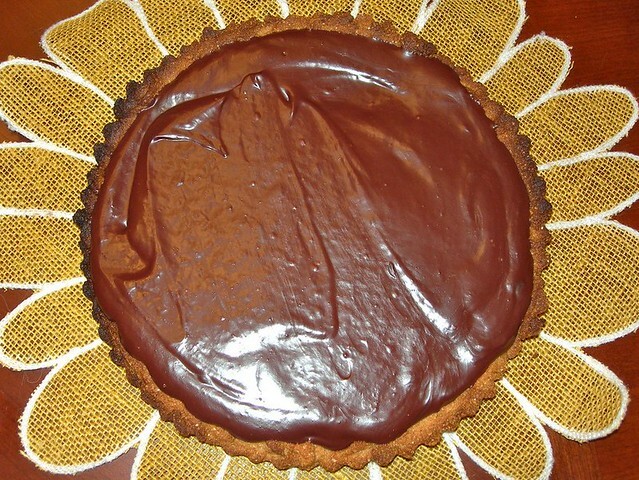 I wanted to make a dessert that would really feature the flavor of the chocolate! I was remembering this episode of America's Test Kitchen that tried making the most chocolatey cupcake ever. A lot of what they discovered stuck with me - butter and other dairy can mask chocolate's flavor, etc. In the end, I didn't want to use a recipe this complicated with different kinds of chocolate, when what I wanted to do was pay homage to the actual chocolate I had brought home. 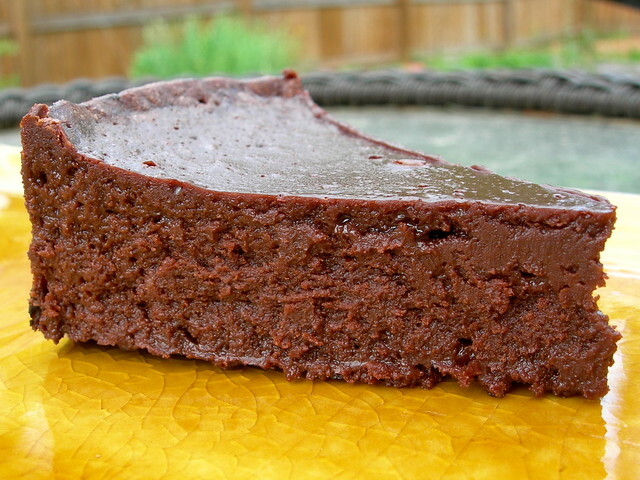 I stumbled across a post on David Lebovitz's blog about his Chocolate Idiot Cake, that John Scharffenberger used to like because of the way he featured his chocolate. That idea sold me on it, but I knew I didn't have enough chocolate to make the full recipe. I have this cute little 6-inch springform pan, and basically made 3/5 of the recipe. If you're doing the math, that was roughly 6 oz of the chocolate drops, 4 tbsp butter, 3 eggs, and 1/2 cup + 2 tbsp sugar. It worked out okay. I still ended up baking it the entire hour and fifteen minutes before it was really set in the middle, but in a water bath it would have been difficult to burn. I'm still mulling over two questions about this particular baking experience. #1 - Would I call this a cake? Well, nope. It has absolutely no flour and no crumb. It has the texture of cheesecake but is lighter in your mouth. It is buttery. Maybe more like French silk pie filling. Or a whipped ganache, except firm. Ha, well, I'm beginning to see why Mr. Lebovitz called it cake. What other name would work? #2 - Did this satisfy my requirement of showcasing the chocolate? I'm not sure about this one. It was absolutely delicious, to be sure, but melting the chocolate down and adding more fat and sweetness does take some of the original bite and roundness and mouthfeel away. What I would like to do is line up a bunch of different chocolates and make 5 versions of the same dessert, using singular chocolate in each, and then compare. Next time. I still have not fully Conquered the Waffle. You know, found that one recipe that puts any other waffle to shame. The one that is crispy and tender and flavorful and stands up to fruit and whipped cream and syrup and anything else you might pour on top of it. I went searching online this morning. One of my favorite internet searches to do when looking for a good recipe is just to add the word "best" to anything. 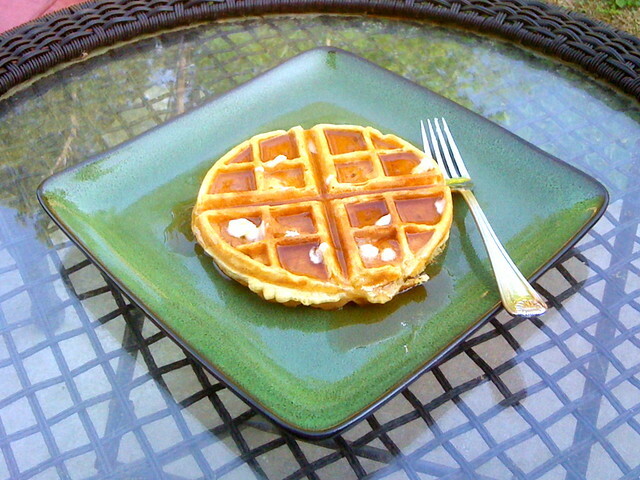 So I found a post on SeriousEats.com called The Greatest Waffle Recipe Ever but I had been hoping for something with buttermilk. As I read the comments, several people said that the key was folding in whipped egg whites, and several mentioned a recipe from Cook's Illustrated. That is the recipe I made, although Cook's Illustrated's site tends to lock down until you have a paid account. So I will help you out and link you to what looks like half of the recipe in a comment in the blog. A few of my comments, and why I think I am not quite to the best waffle yet. I did like the slight crunch of the cornmeal, but this added a savory element that reminded me of the Creamed Mushrooms on Cornmeal Waffles recipe I made over on my somewhat neglected cooking blog. I loved that recipe, in fact seeing it makes me want to make it again, but I'm just not sure I want that getting in my head when I'm eating a sweet waffle. Another comment said you have to add vanilla, so I did at the end of the waffle making, and honestly I'm torn. Vanilla automatically makes it sweet and aromatic, but it may throw off the balance a little. I think I may have thrown everything off from an authentic tasting anyway by storing them in a 200F oven while I baked them all. That always is a downfall of waffles, the fact that only one can be made at a time. So tell me your waffle tricks and favorite recipes! Happy Cinco de Mayo! 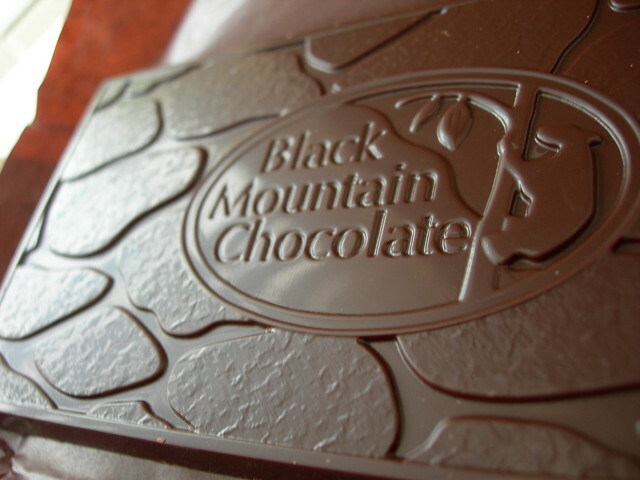 My favorite story that came from the Cocoa Roastery Tour was the connection to Mexico in how the founder of Black Mountain Chocolate got started. I held this in my head for a week or so, knowing today was coming up, intending to combine all the traditional flavors of Mexican chocolate into a dessert. After recent forays into gluten-free baking, I had some almond meal on my hands. 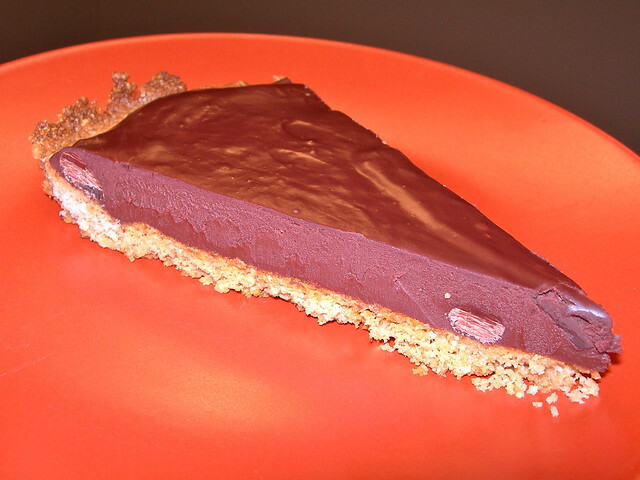 I came across a recipe for a tart crust using it solely, no other flours, and adapted it for the dessert. I didn't find it to be as successful as I would have liked, but I will include it until I play around more. Maybe just a pâte brisée would have been better, but I wanted the crunch and flavor of the almonds without having them interfering with the texture of the chocolate. So here is the recipe I made. It may need further tweaking. Mix ingredients with a fork and break up any large chunks of almond. Press into a tart pan with removable sides. Bake at 400 for 15-20 minutes, or until golden brown. Cool completely. Heat cream in small saucepan over medium heat until steaming and a little bubbly, but do not allow to boil. Mix in spices and let the cinnamon stick steep for about 5 minutes. Put the chocolate drops into a small mixing bowl. Pour the hot cream (through a strainer!) over them and let sit for 5 minutes, giving them time to melt gently. Stir together until smooth and pour into cooled crust. Ganache will set up in a few hours at room temperature or in 45 minutes or so in the fridge. 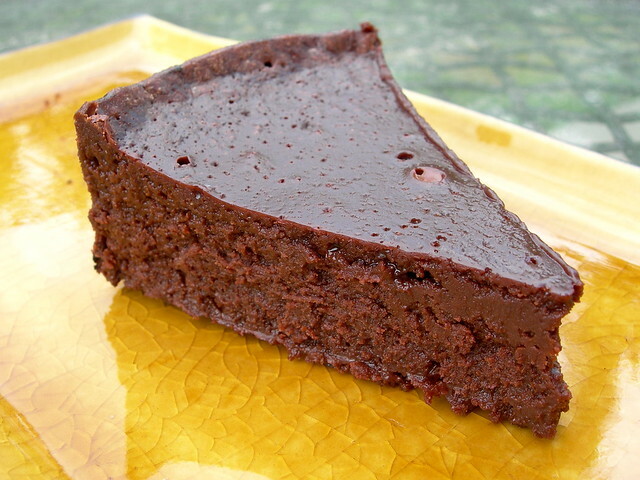 Slice into small wedges and serve with whipped cream if desired. (This is rich so small is a good idea). Last weekend, Nathaniel and I had the opportunity to tour the Cocoa Roastery at Black Mountain Chocolate. It was a special treat to meet one of the handful of artisanal chocolate makers in the entire country and to hear about his creative journey, as well as having a tour of how the chocolate is actually made. With a little pleading of some of the other tour members, we even got to taste a tiny batch of cocoa beans that had been grinding in a smaller machine that he learned cocoa roasting on (surprisingly delicious despite being incredibly bitter). I left giddy. Maybe it was the aroma of chocolate in the air. Maybe it was getting to witness chocolate at its source. I left with ideas whirling through my head of what I wanted to try. Have you ever tasted fresh chocolate? I mean really fresh, from bean to bar? At the end of the tour we tasted the most recent batch (labeled 70% cacao) and bought some to bring home too. To me, fresh chocolate from Black Mountain Chocolate is slightly fruity with this roundness to it. The bars have a great shine and snap to them, just as they should. 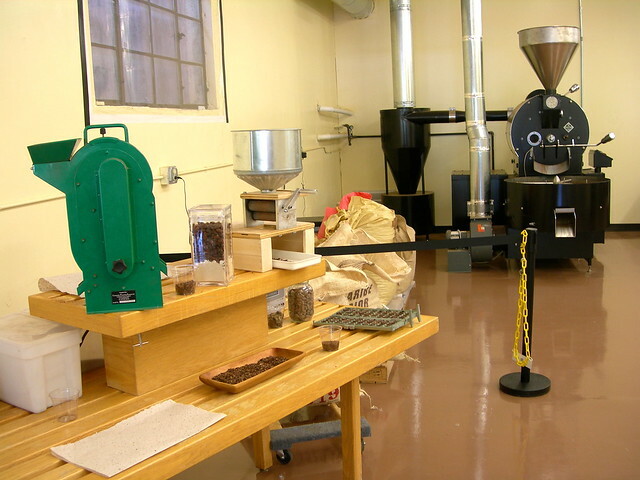 If you are close to North Carolina, you should sign up for a Cocoa Roastery. These smaller tours are a new thing, but it looks like they'll be doing them every Saturday through the end of the year. You can also follow them in Facebook and Twitter.